Wales start their Euro 2020 qualifiers at home to Slovakia on Sunday, with the jury still out on Giggs' 14 months in charge since he succeeded Chris Coleman. On the face of it, Giggs has had an average return of three wins, one draw and five defeats from his nine games in charge. 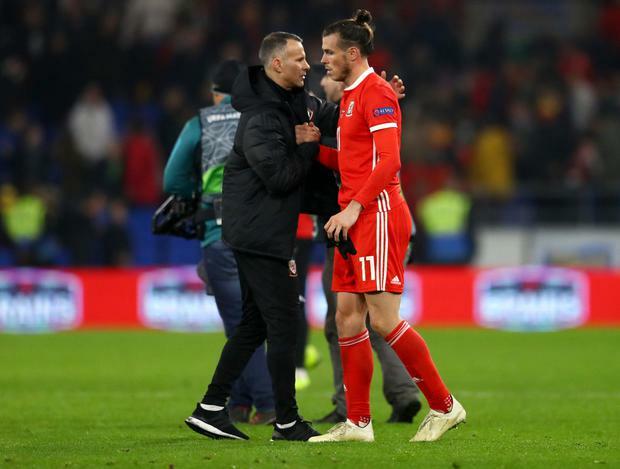 But the former Manchester United star has fast-tracked an exciting group of young players into the senior set-up, and the 4-1 demolition of the Republic of Ireland in the Nations League last September saw Wales produce some scintillating football. "I think I will be judged on the qualifying games, I knew that going into the job. "Getting Wales to a major championships, that's how I will be judged." Coleman guided Wales to the semi-finals of Euro 2016, the country's first appearance at a major tournament for 58 years. But Coleman's six-year stay came to an end after Wales failed to qualify for the 2018 World Cup in Russia. "People do expect (qualification), understandably because of what we achieved at Euro 2016," Giggs said. "But it's been once in 60 years, so we don't qualify on a regular basis. "That's what my job is now to qualify or at least compete. We didn't qualify for the World Cup, but we competed. "In the past we nearly got somewhere and in the next campaign we were nowhere near. "We want to be competing or getting close on a consistent basis. "If we do that then we will get to more championships than not." Giggs' commitment - or the perceived lack of it - has attracted criticism from some quarters in Wales given his ambassadorial, business and consultancy interests around the world. "My primary job is to get Wales to a European Championship," Giggs said ahead of tomorrow's pre-Slovakia friendly with Trinidad and Tobago in Wrexham. "Yes, I've got other commitments that the FAW (Football Association of Wales) knew before I took over. "I've been to Vietnam, which gives me five days on the grass coaching, and I was in South Africa for three days as an ambassador for the Champions League. "But I'm being introduced as the Welsh manager and that can only be good in my eyes. I have other commitments, but I take the job of managing Wales very seriously."